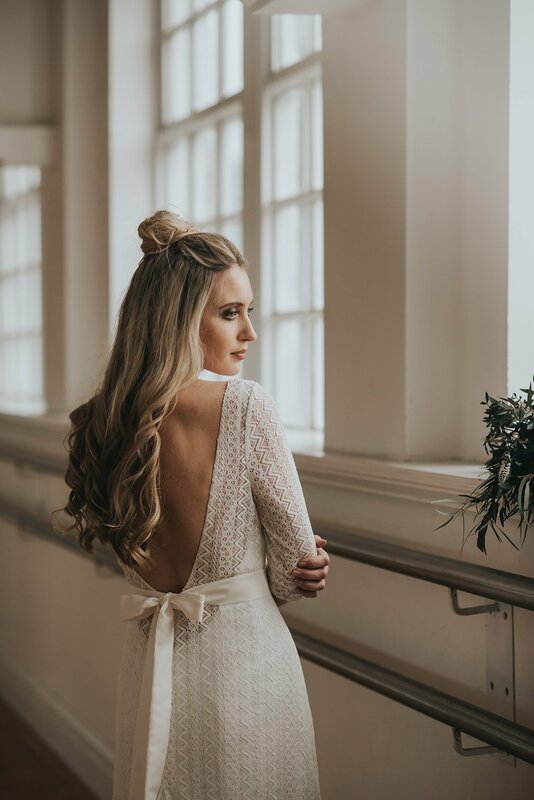 We just love it when we get to share an exclusive first look at a designer’s brand new collection – and this afternoon on the blog, we are doing just that! 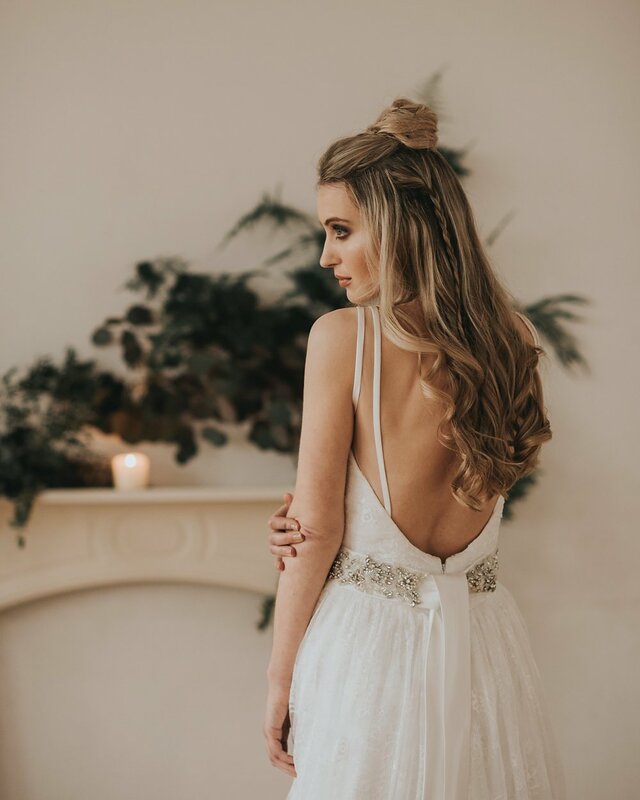 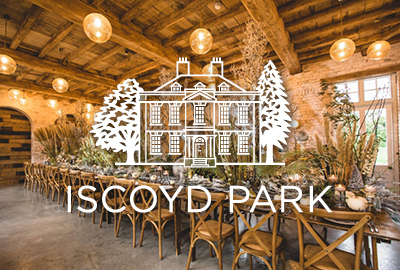 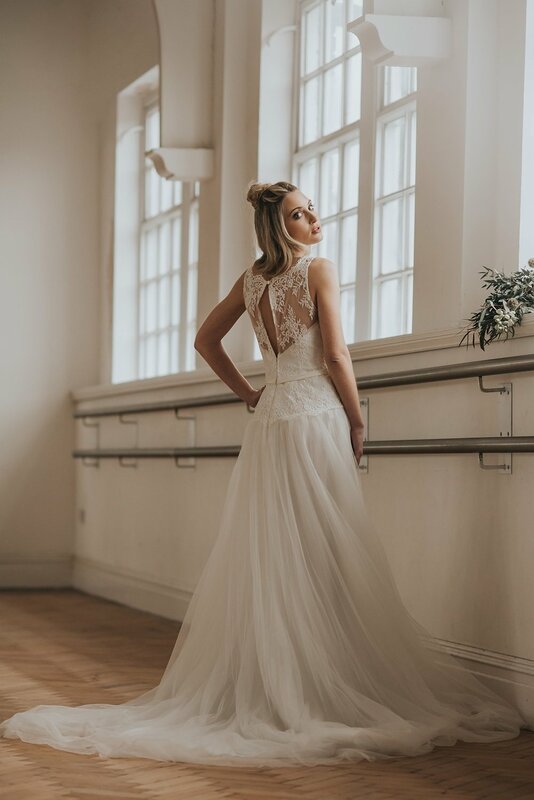 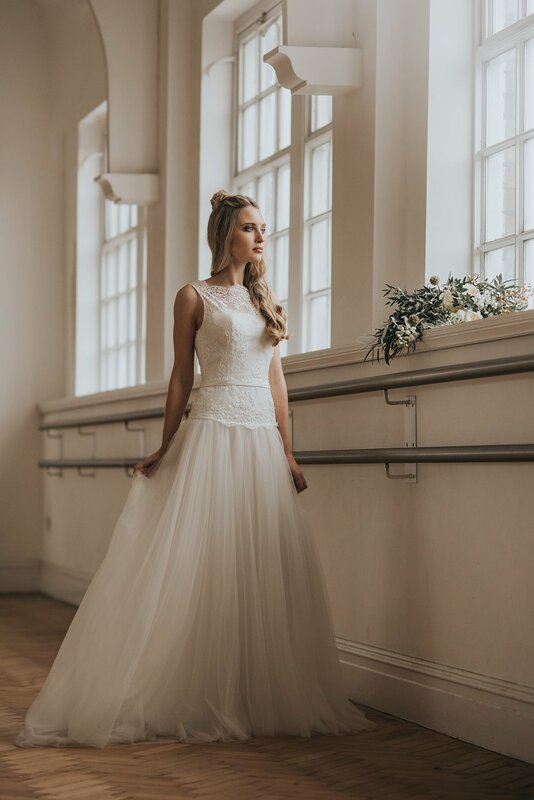 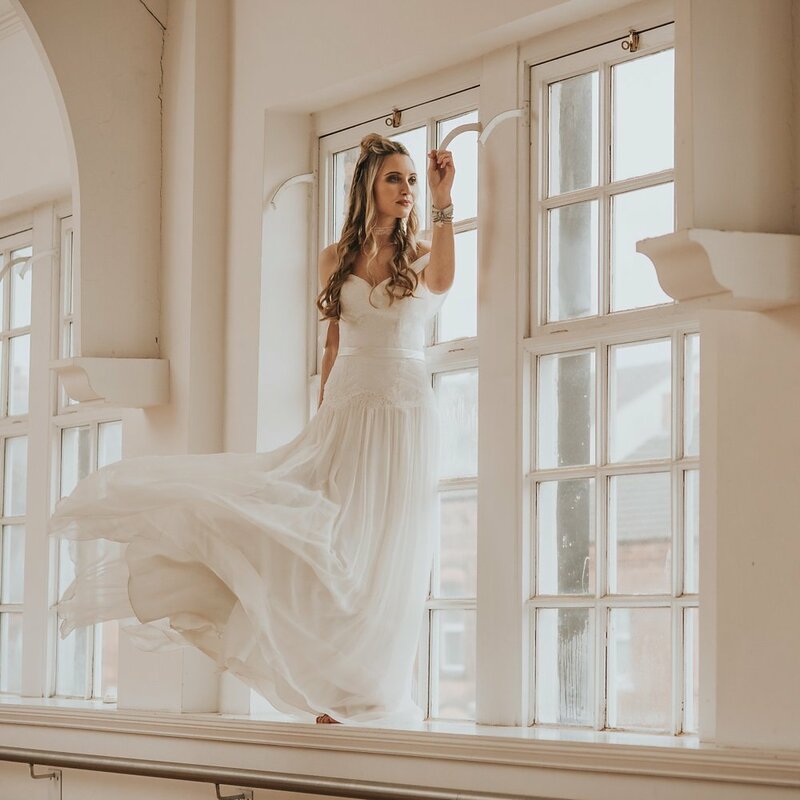 Prepare for some serious dress candy ladies, as we reveal a special preview of the 2018 collection from our hugely talented Sponsor, Felicity Cooper Bridal. 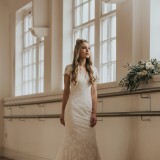 Felicity Cooper Behind the scenes photoshoot v5 (short) from Paul Kyte Photography on Vimeo. 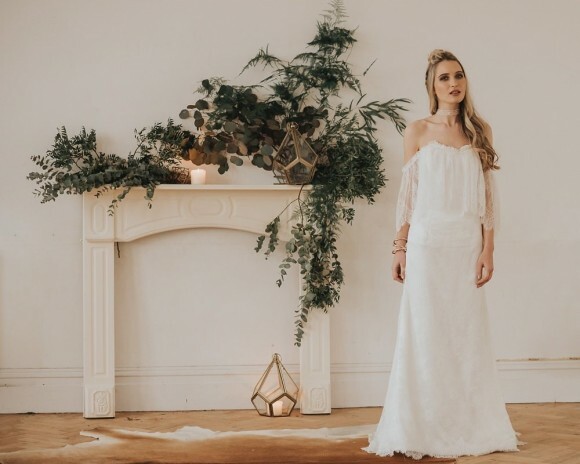 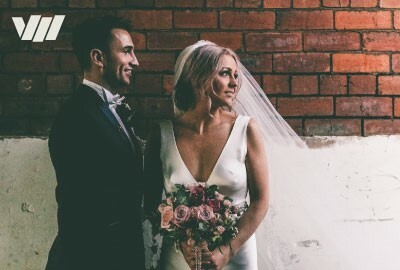 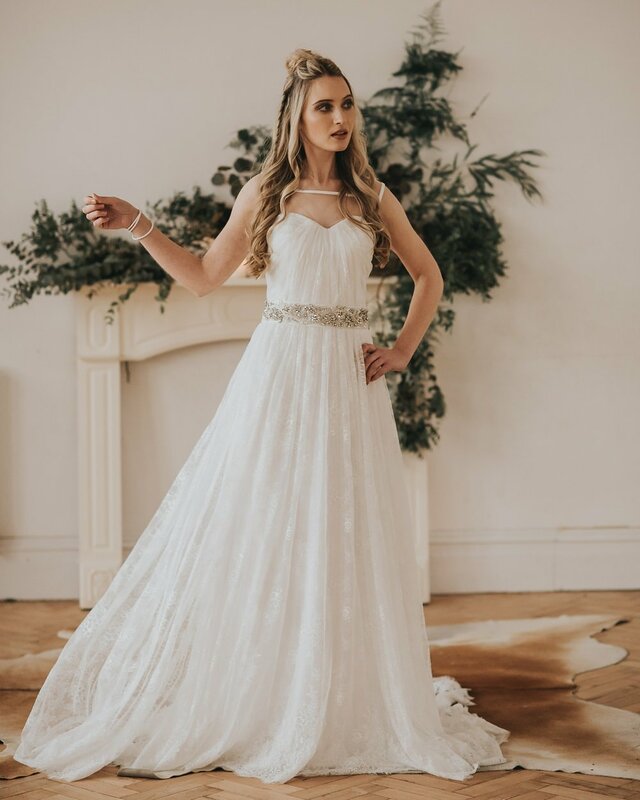 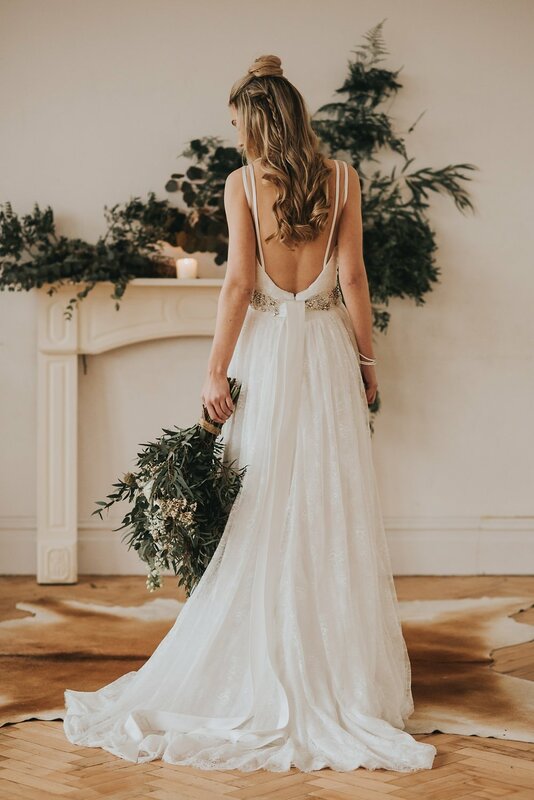 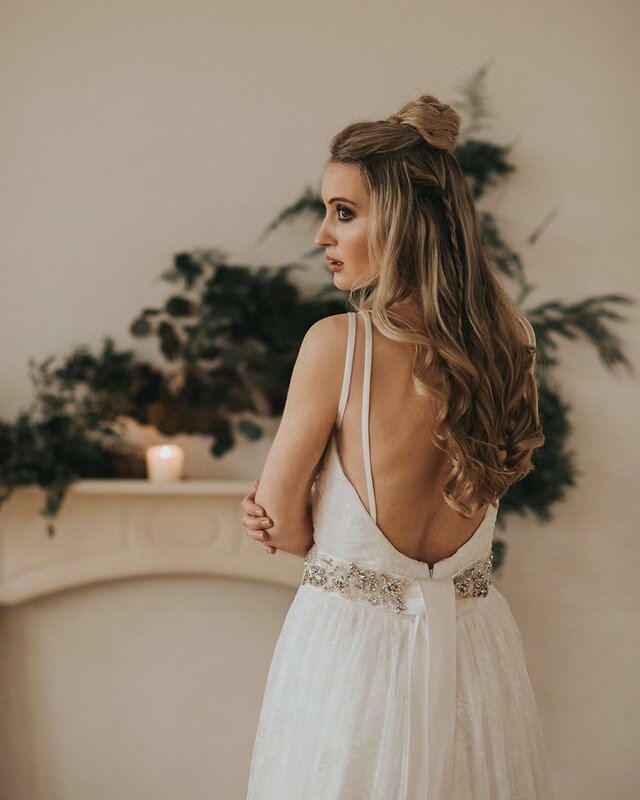 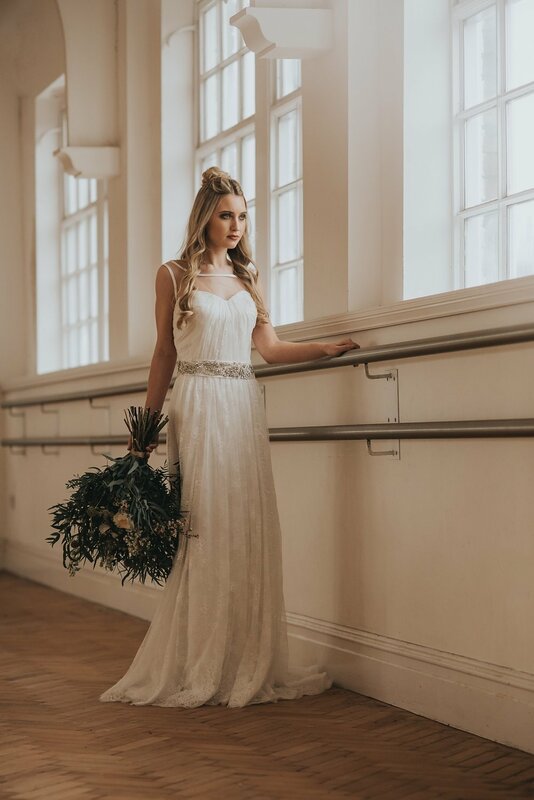 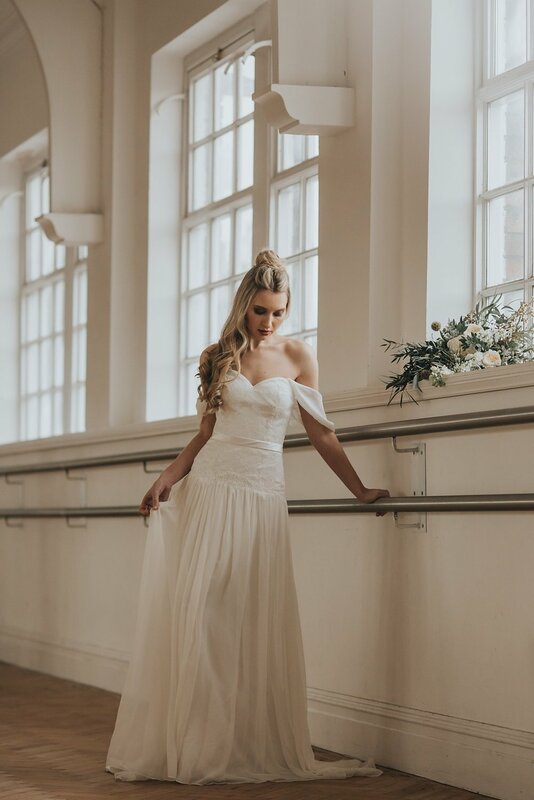 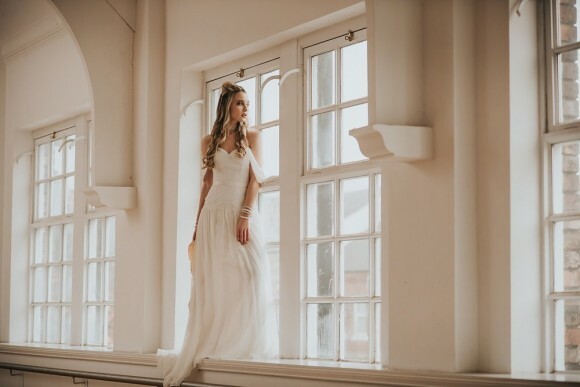 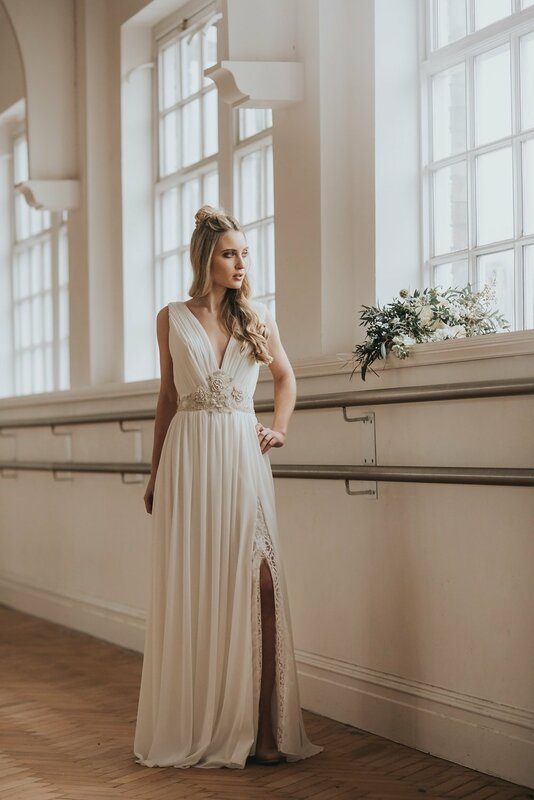 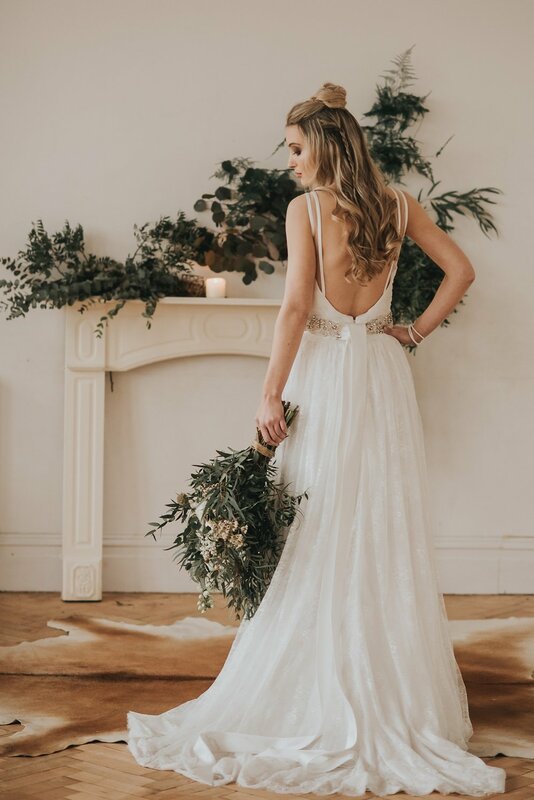 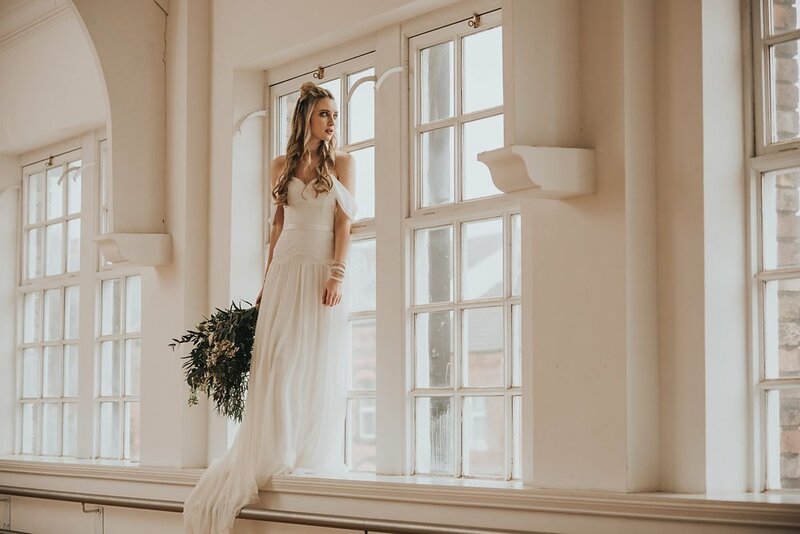 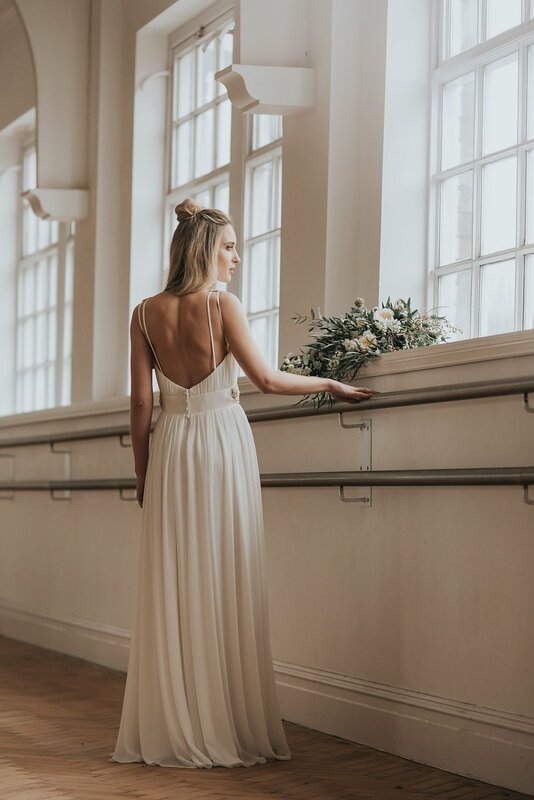 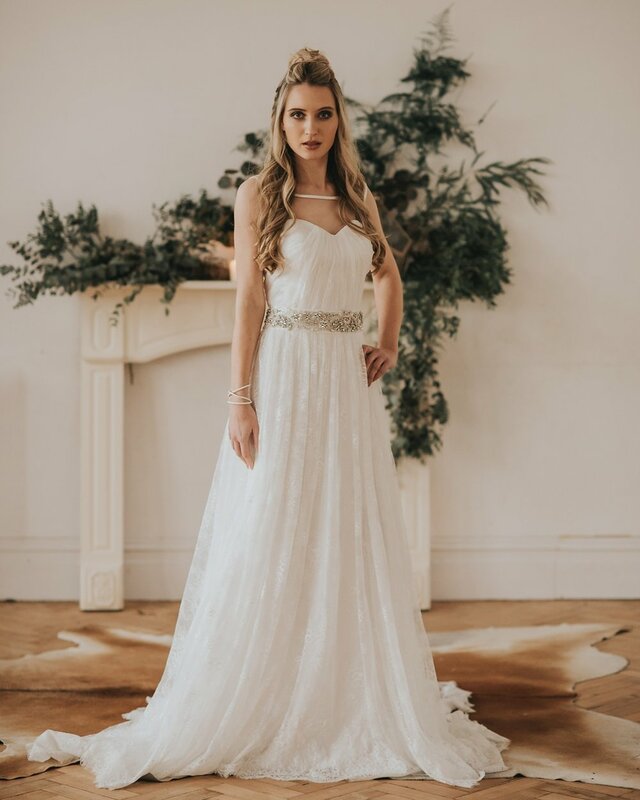 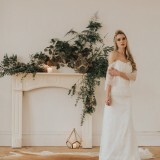 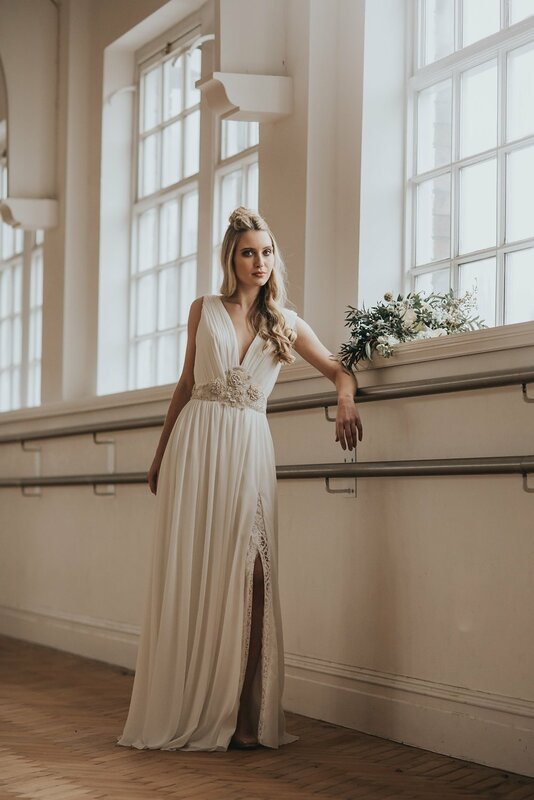 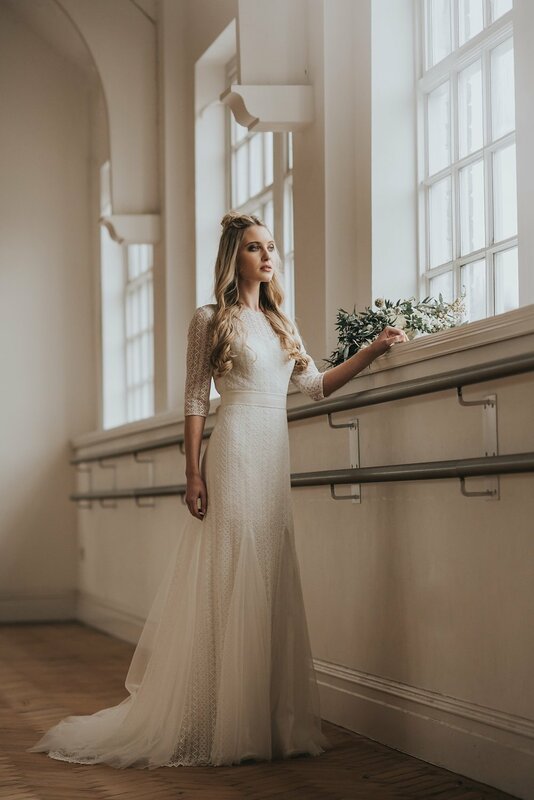 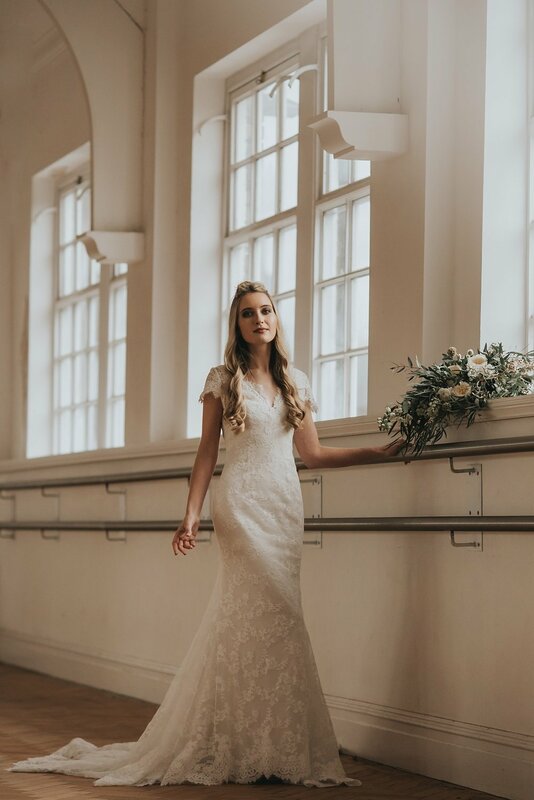 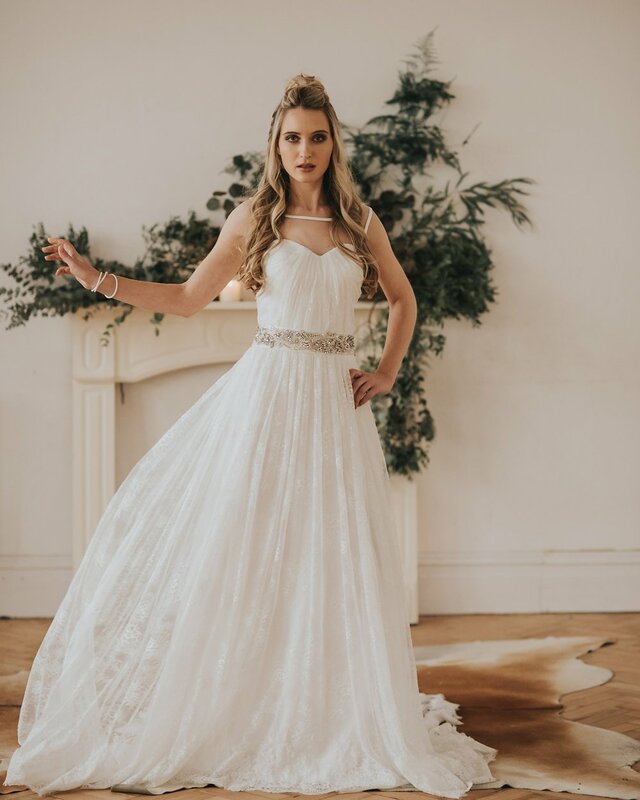 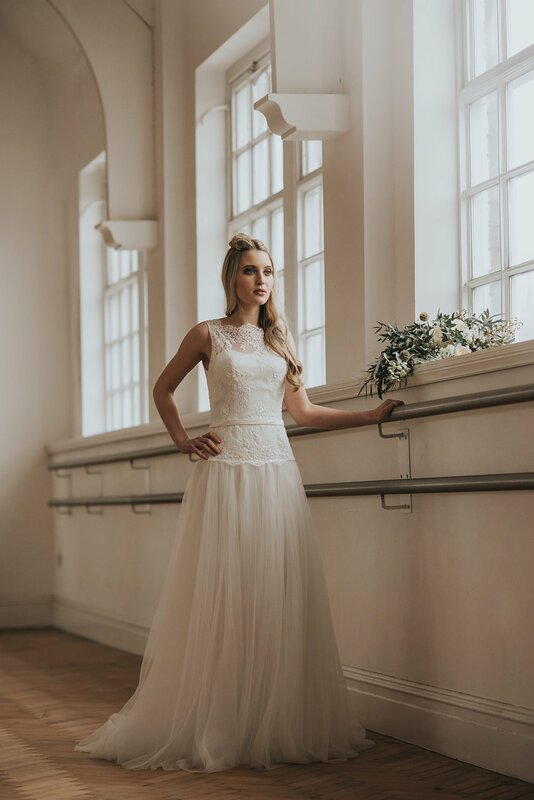 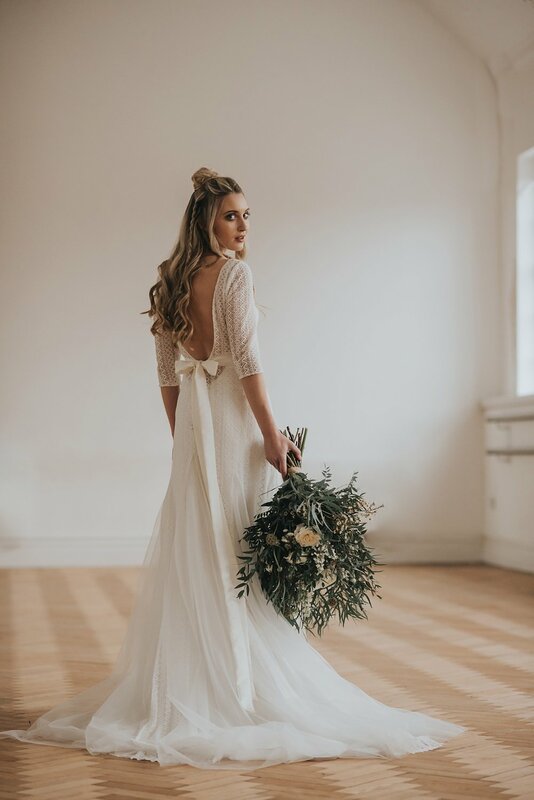 The stunning label was launched by North West designer Fiona Cooper back in 2010 and has continued to go from strength to strength, with brides falling head over heels for its pretty bohemian designs that are both feminine and fashionable. 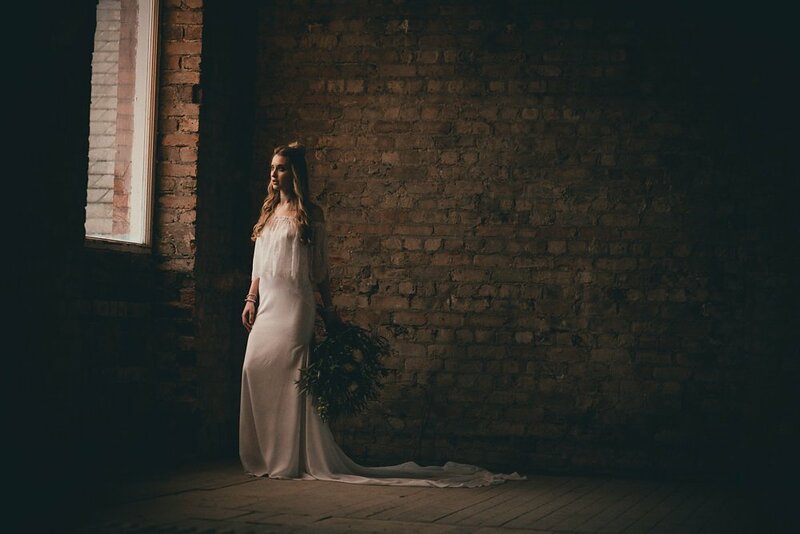 Here to introduce the latest collection with stunning imagery and video footage, is the leading lady herself. 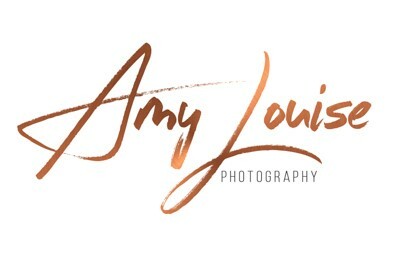 With images by Lucy G Photography. 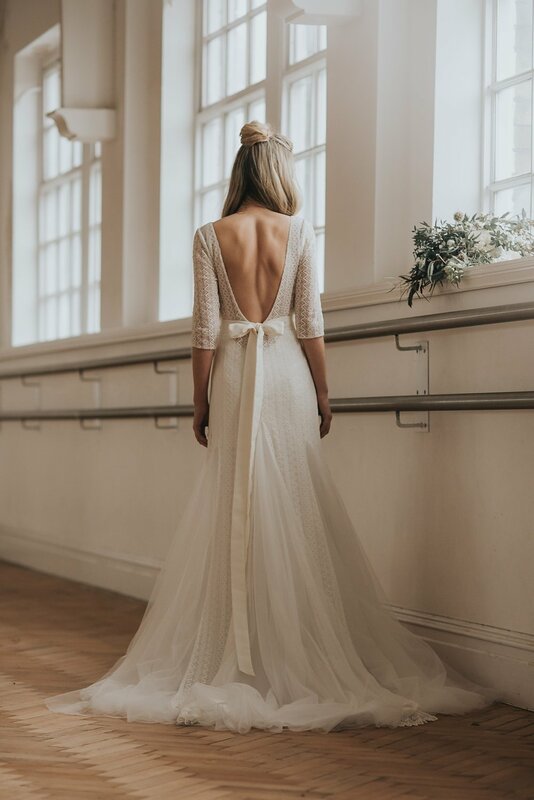 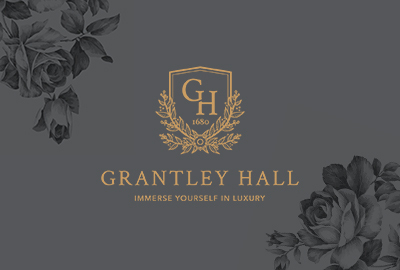 What is the name of the new collection and does it have a certain theme? 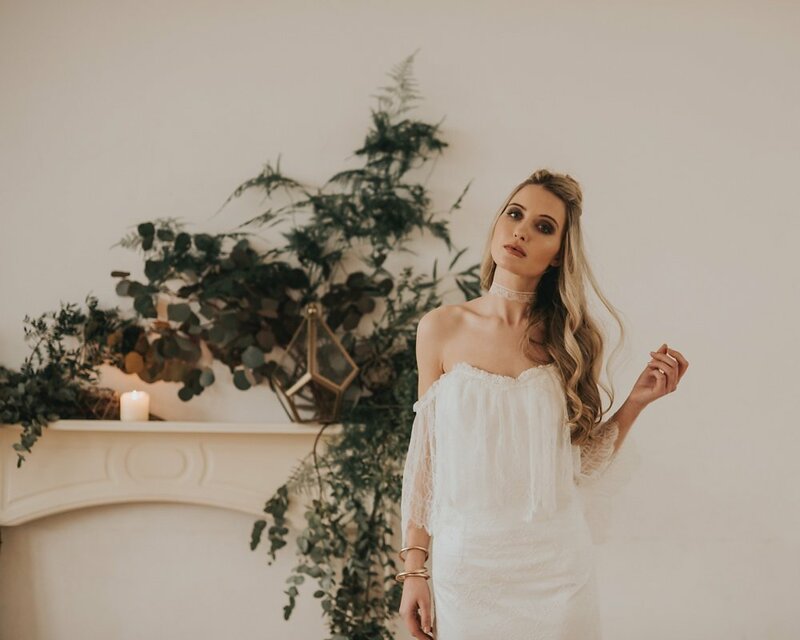 fiona says: ‘Authentic Luxe’ is our 2018 collection and we are so excited to preview it here exclusively! 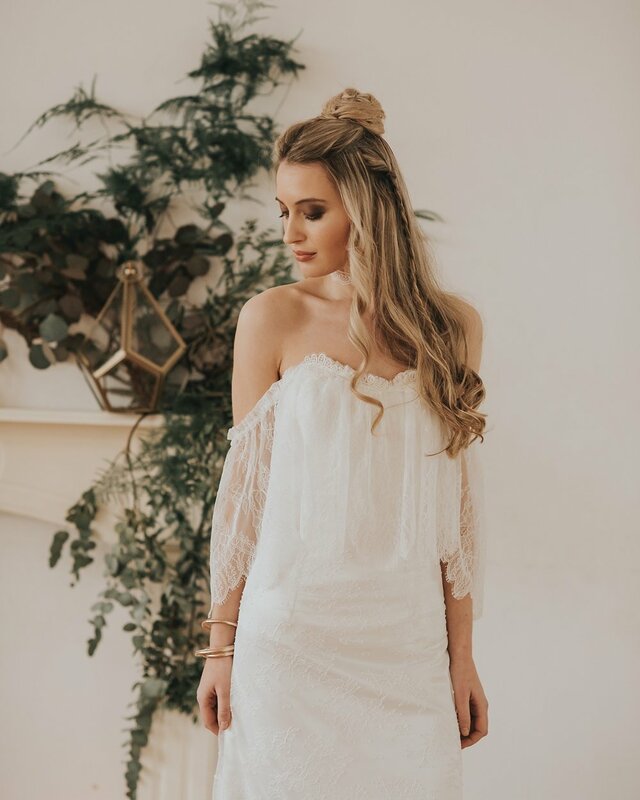 It has a bohemian luxe vibe – the look we love the most! 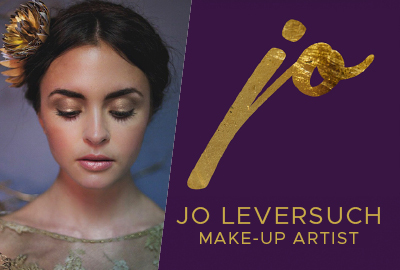 Where did you get the inspiration from for the new collection? 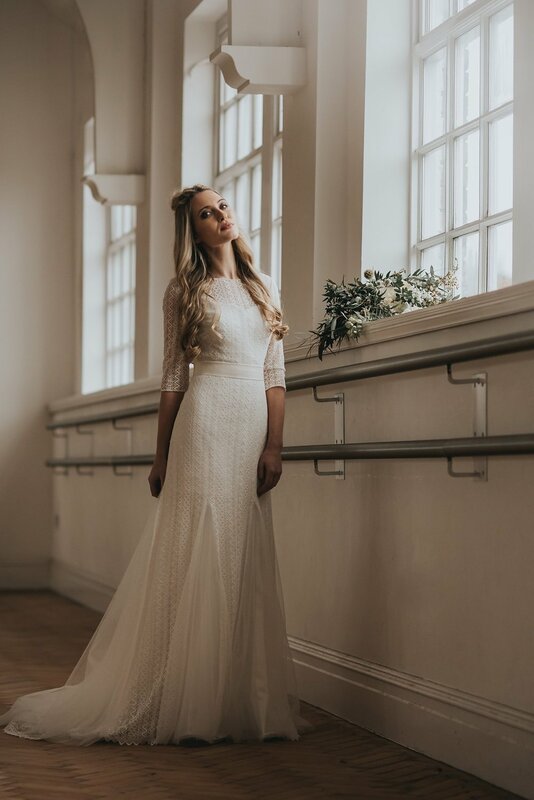 The 2018 collection has a relaxed feel. 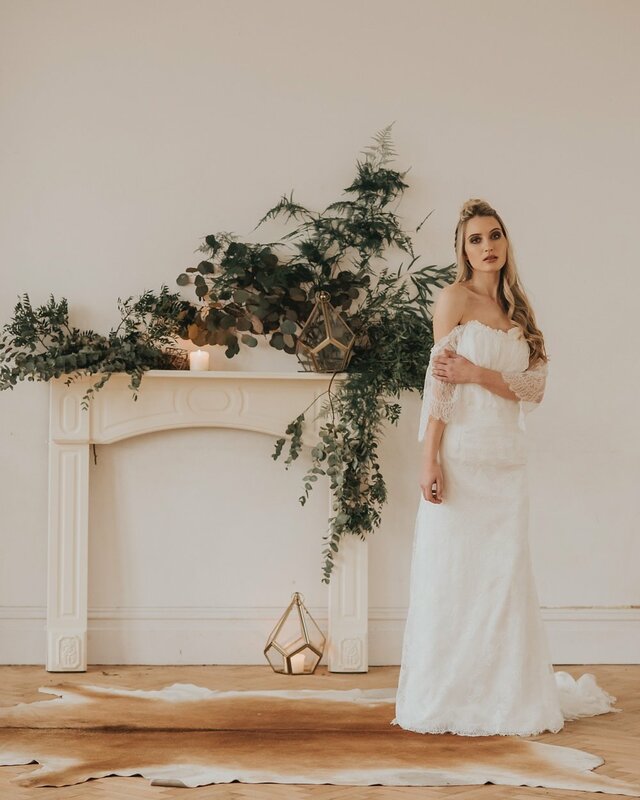 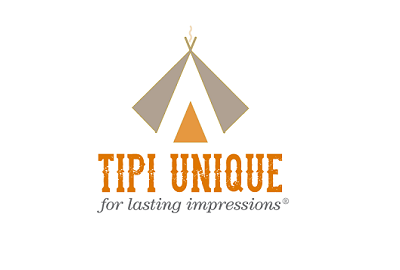 I have taken inspiration from so many things, including interior design trends, bohemian fashion and the brides I meet. 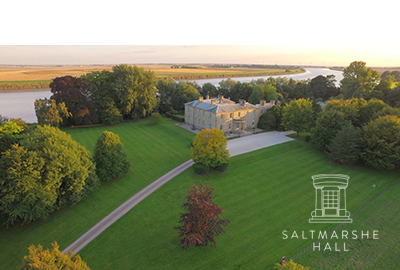 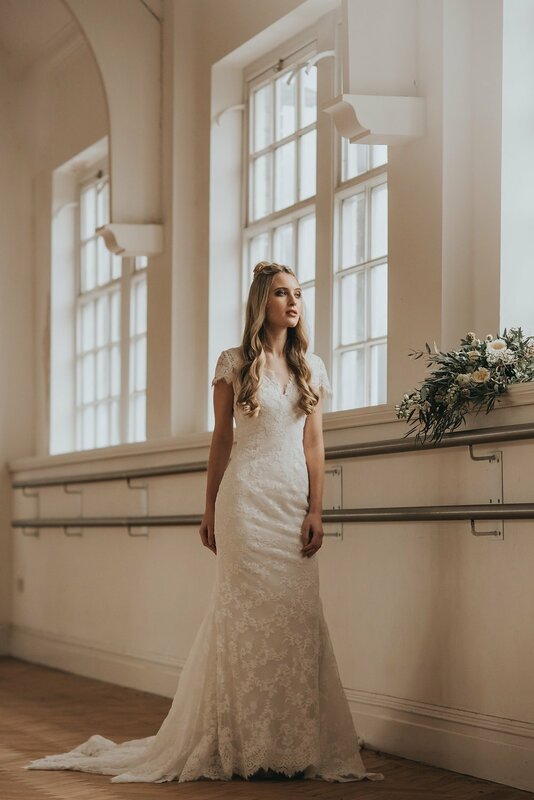 Can you give us an overview of the various styles that feature in the collection? 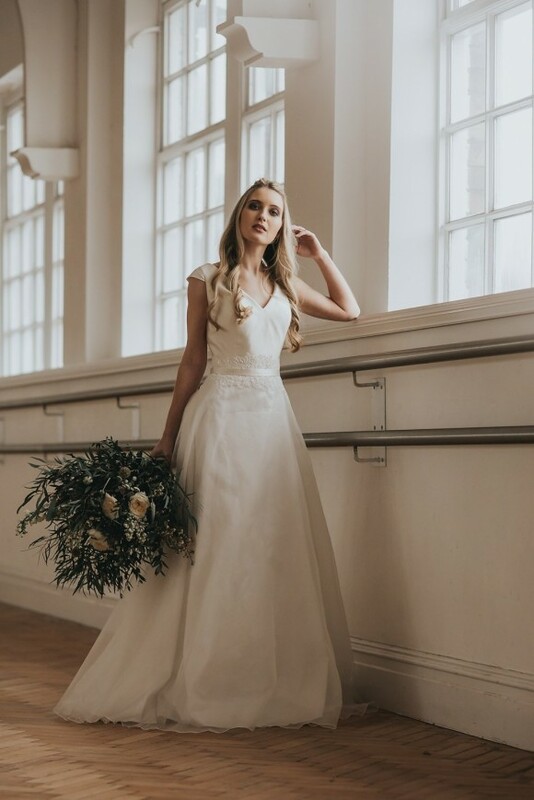 The majority of the collection is slim fitting; off-shoulder gowns and spaghetti straps play a prominent part. 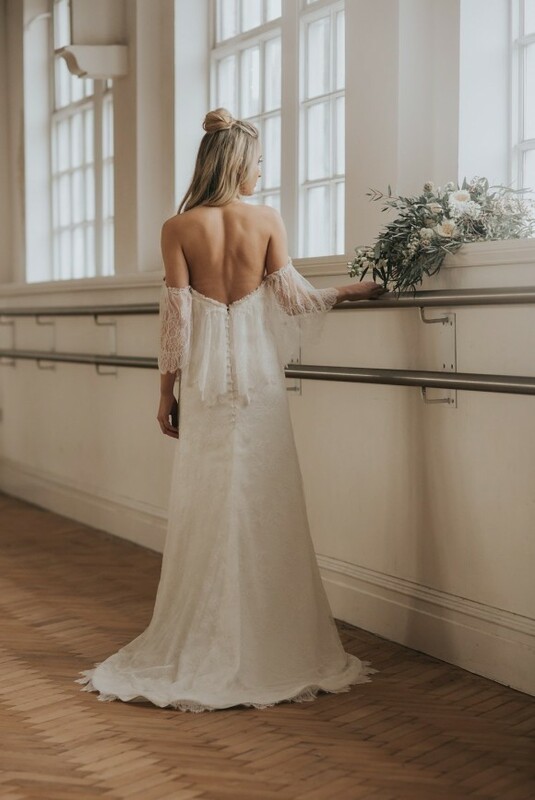 And what fabrics have been used? 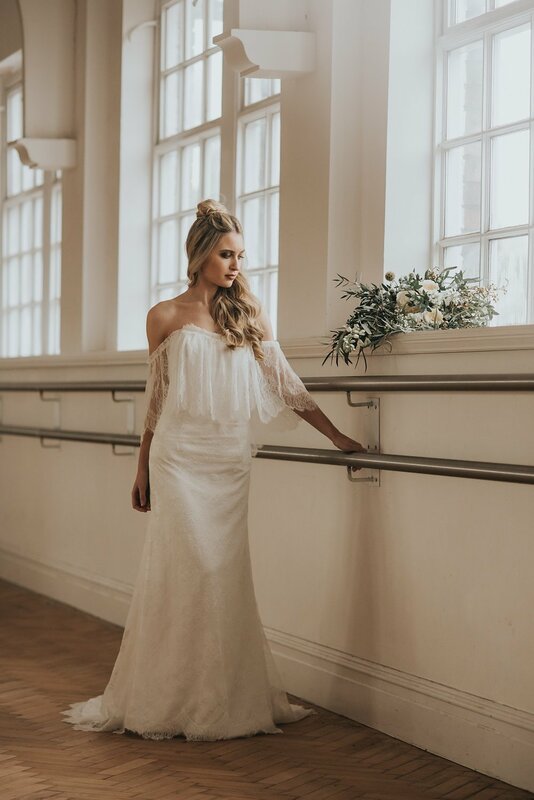 My usual signature fabrics; silk chiffon in both matt and shine, delicate French laces, soft draping crepe and a really quirky geometric stretch cotton. 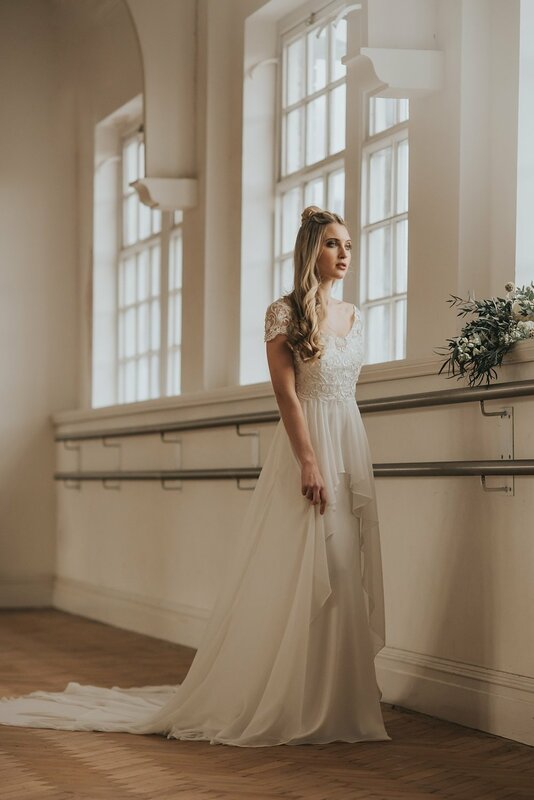 Do you have a personal favourite dress from the collection? 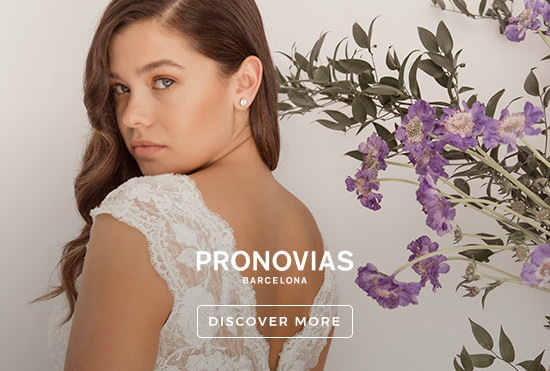 Oh, I have a few, though I think Willow and Poppy are my very favourites! 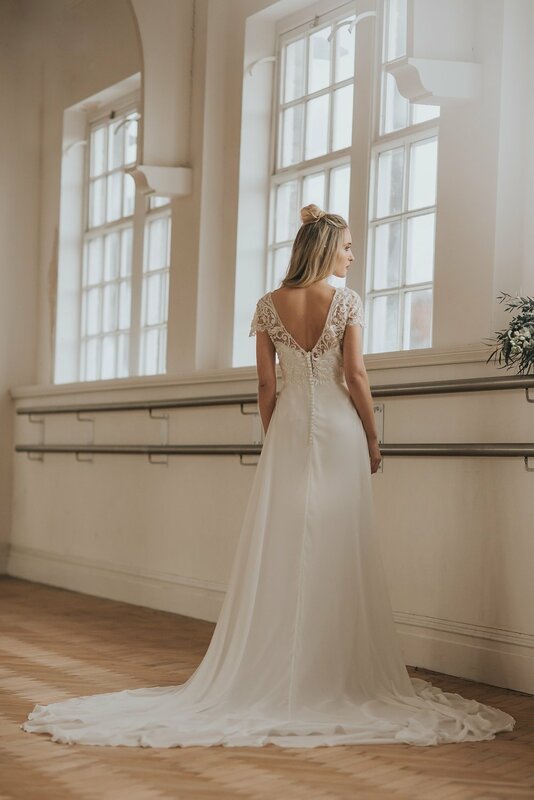 How has the new collection been received so far by those that have seen it? 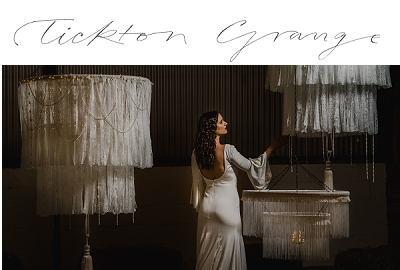 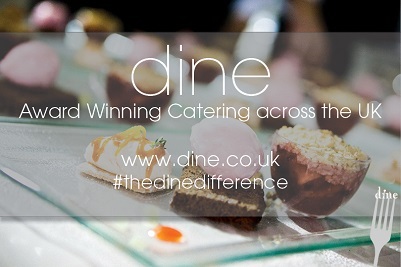 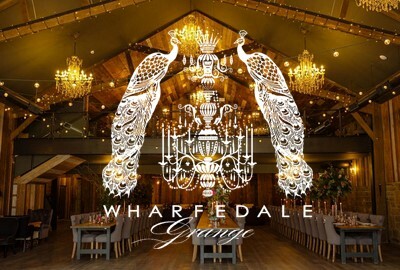 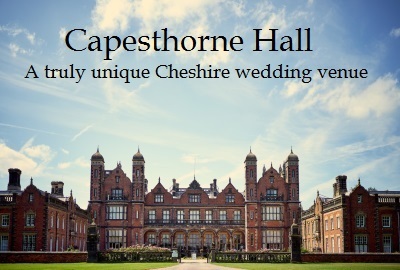 Some of our stockists have had sneak previews and so far we have had an amazing response. 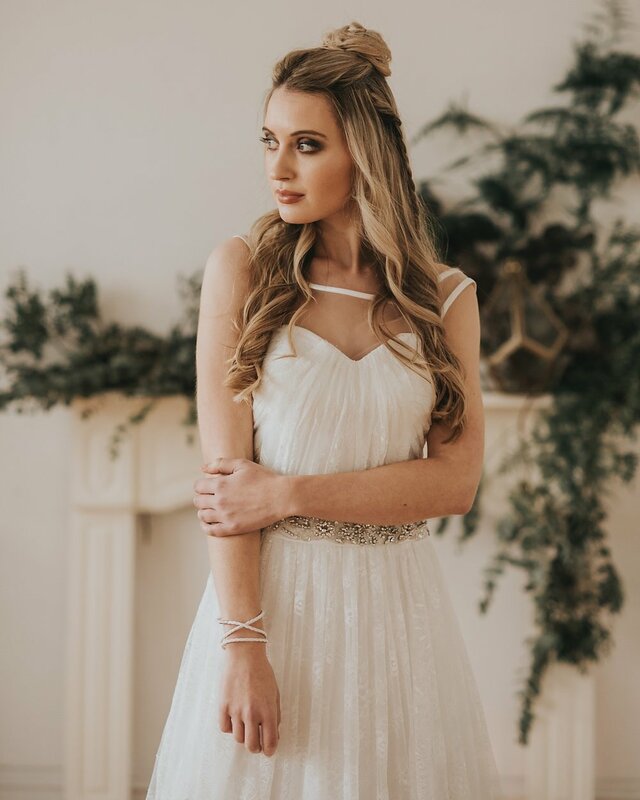 We can’t wait to get the collection in their boutiques and to the brides! 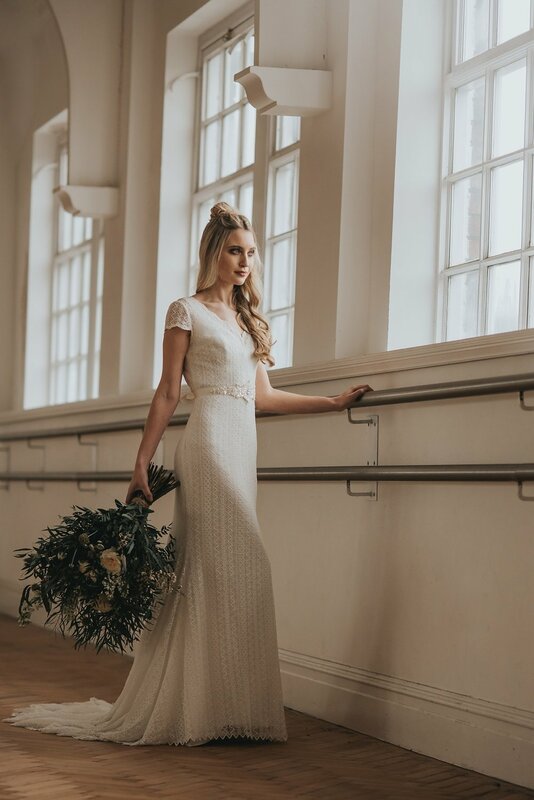 What type of bride do you think the new collection will appeal to? 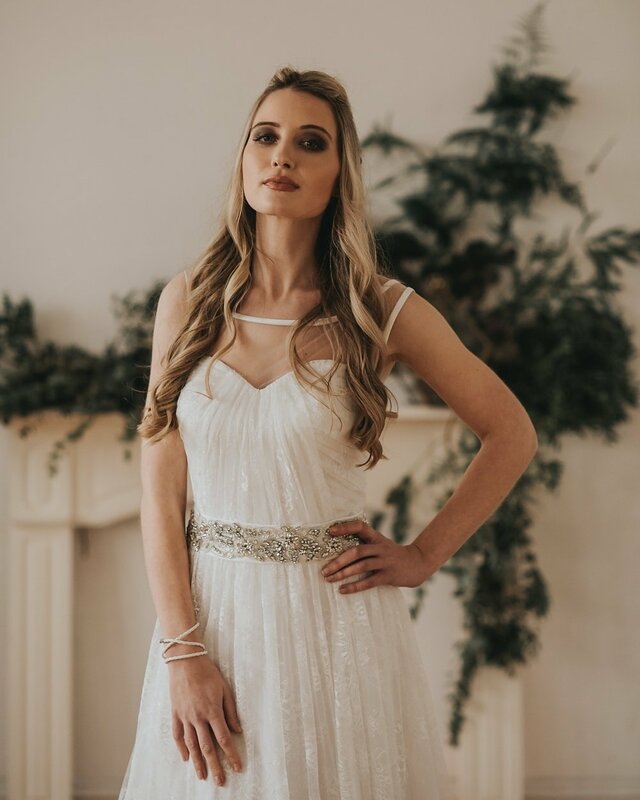 We really think our dresses appeal to the relaxed bride, fun loving and fashion thinking bride. 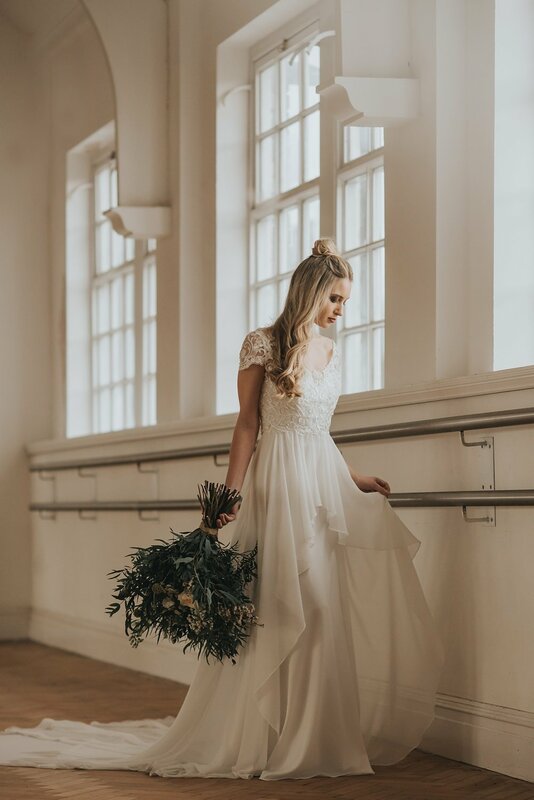 The bride who knows her own mind and style, who wants to be comfortable yet look breath-taking. 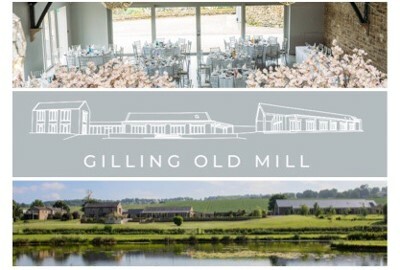 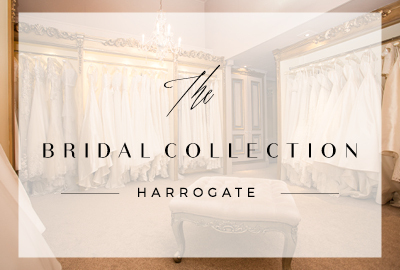 When and where will the new collection be available from? 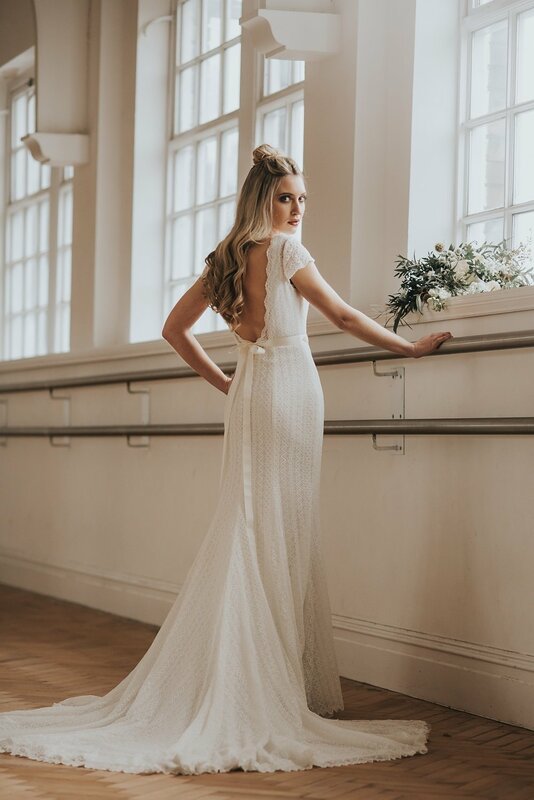 The collection will be available at trunk shows with our stockists over the coming months and permanently with them from the summer. 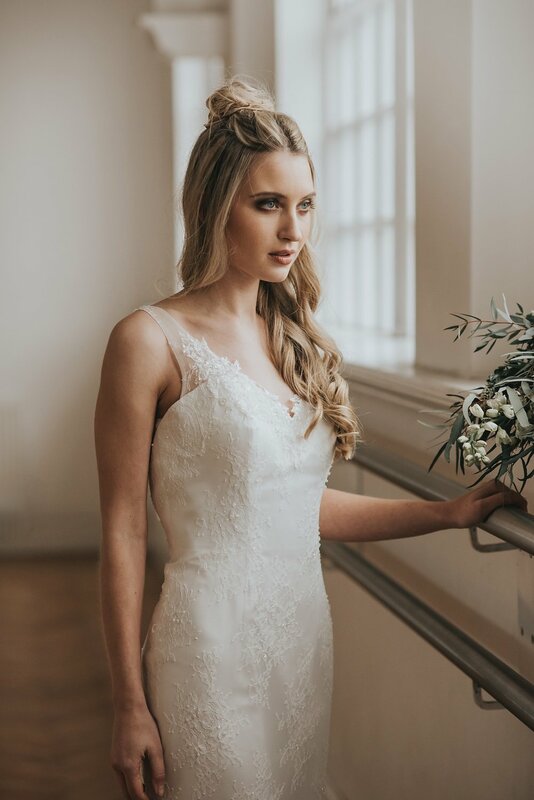 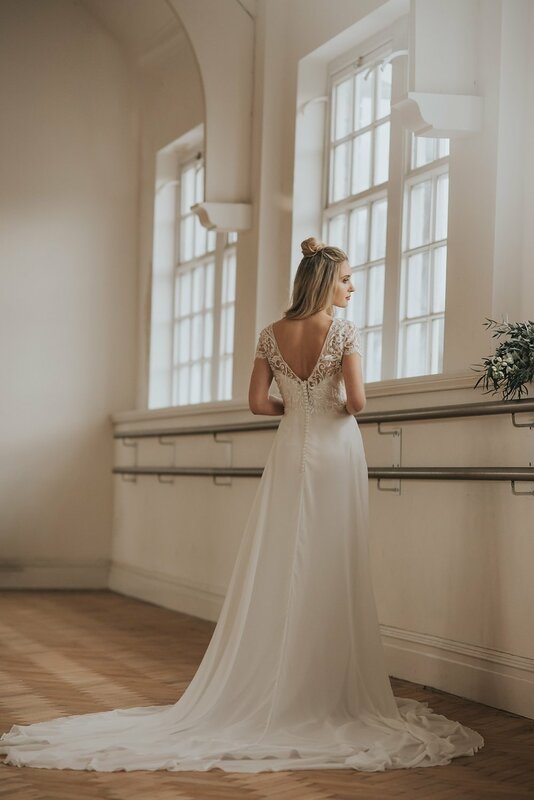 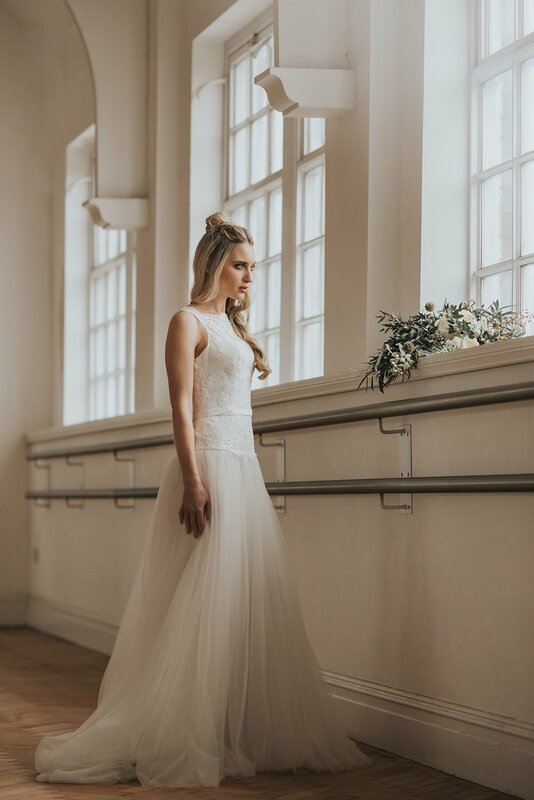 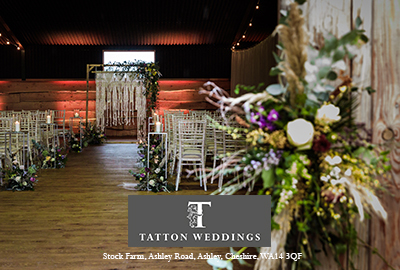 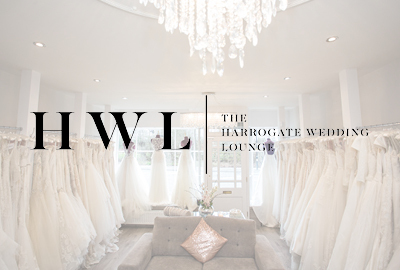 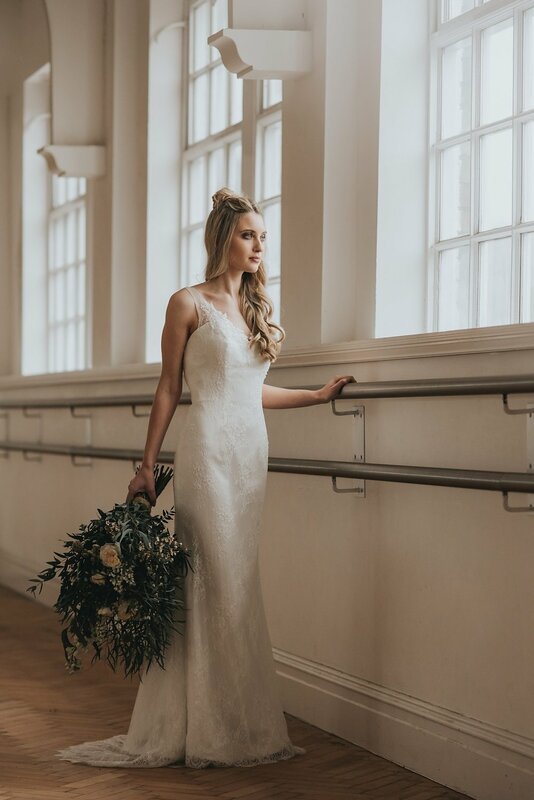 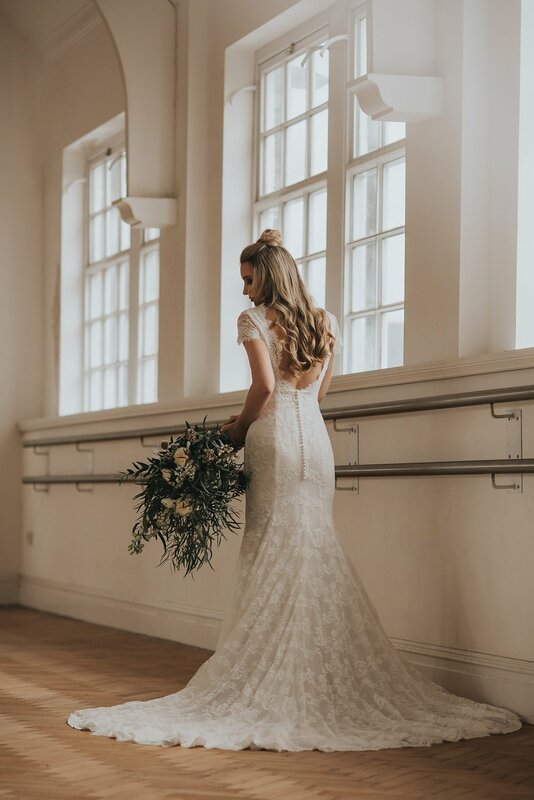 I would advise any bride wanting to try the new collection to contact their nearest stockist, book into the trunk shows and make sure the dress they want to try will be there! 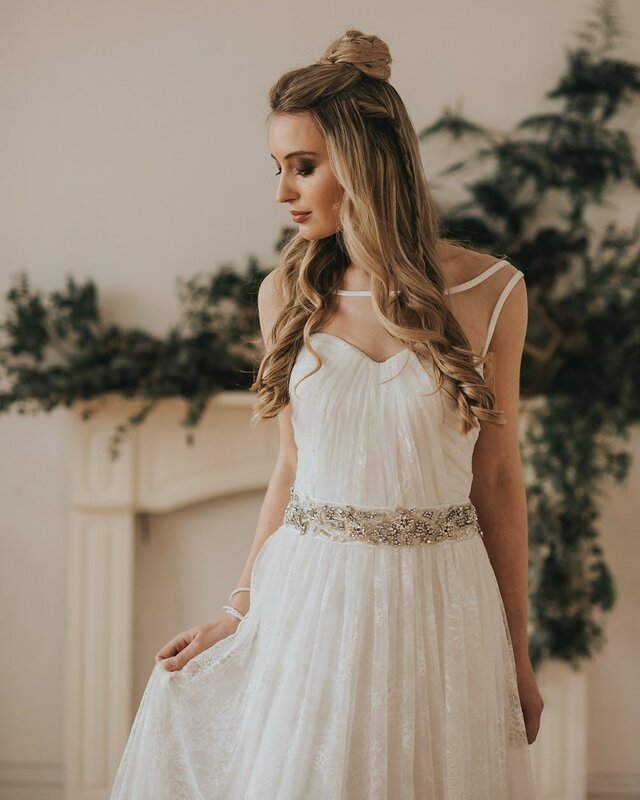 Any other news to share with us?